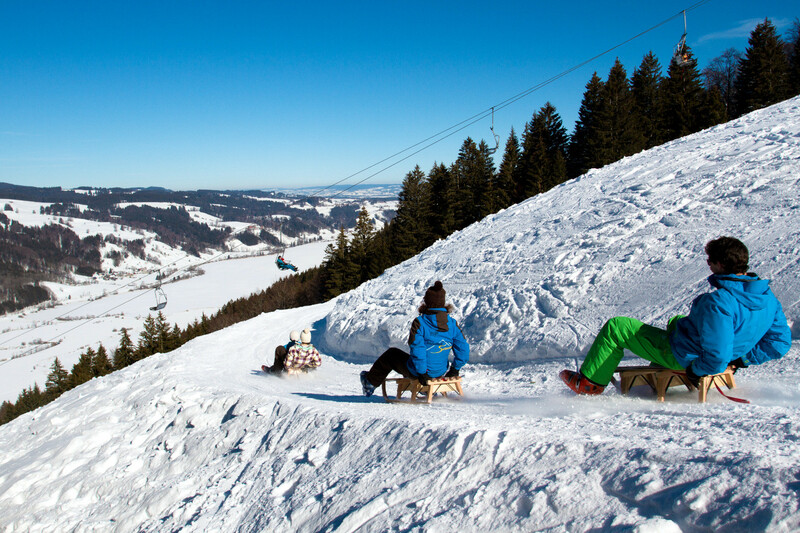 The ski area Alpsee Bergwelt with it’s beautiful mountain landscape is especially well-suited for families. Tobogganists, skiers, and snowboarders are taken into the ski area by modern lifts up, to an altitude of 1100 m. This is also the starting point for the Alpsee Coaster and the two other natural toboggan runs. The ski area is spacious and situated amidst a beautiful landscape. For those who prefer unspoiled slopes there is one deep snow area as well as a mogul slope. Furthermore you can go snowshoeing, hiking or just enjoy the cosy atmosphere in one of the pristine ski lodges. Get snow reports and powder alarms from Alpsee Bergwelt straight to your inbox!